This solution is for those users who do not want potentially malicious files, that our systems have not yet classified, to be automatically uploaded. These uploads are anonymized such that the source device / user cannot be identified. Webroot solely uses these file for malware/threat research and analysis for purposes of identifying new malware/threats, and their sources, in order to improve Webroot’s services; these files are not shared with or sold to third parties. If, for any reason, you wish to opt out of automatic upload potential malicious files, then instructions to turn this feature off are as follows. 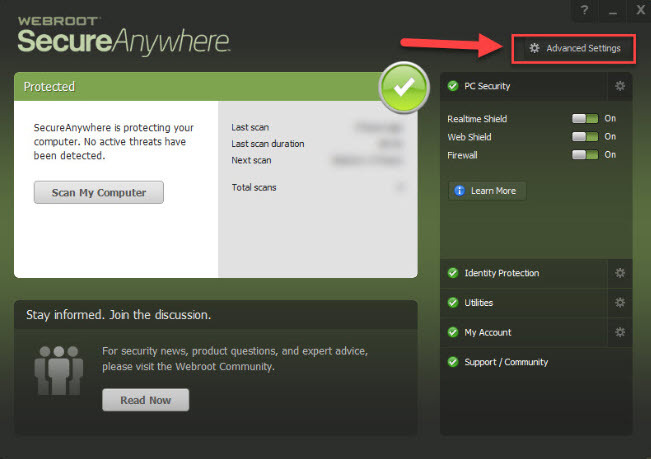 Go to the Main Webroot Secure Anywhere user interface. Click Advanced Settings on the top right corner. Uncheck the “Allow files to be submitted for threat research” box. In GSM, click Polices from the tab menu bar. If you want to change an existing policy, click on its name. Otherwise click on Add. Under Policy section, click Basic Configuration. 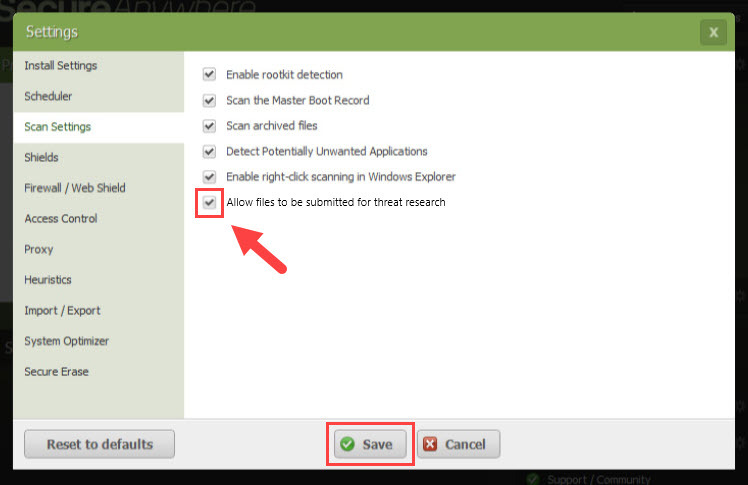 From Setting table, scroll down the list and change "Allow files to be submitted for threat research" to Off. If this policy is already assigned to devices, it will be received and acted on at next check in. In EP console, click Policies. To change an existing policy, click on its name. Otherwise click Create. 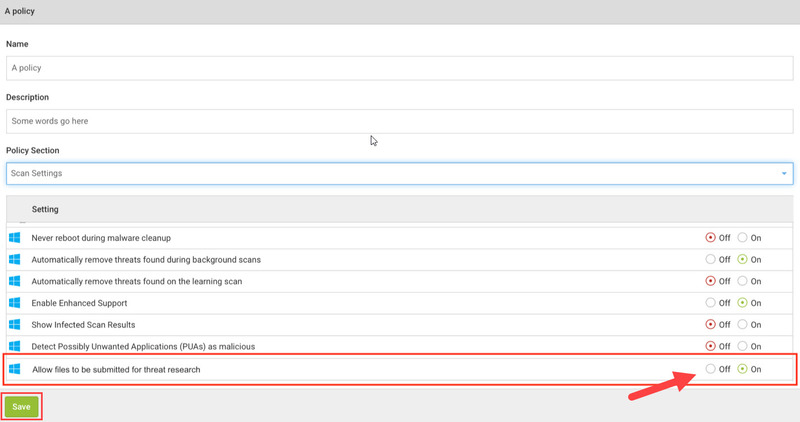 Click Scan Settings from the list shown in the Section column. From the Setting table, change "Allow files to be submitted for threat research" to Off. Click Promote Draft Changes to Live and then again Ok. If this policy is already assigned to devices, it will be received and acted on at the next check in.